“That afternoon the finished black cashmere was carefully pressed, and then Ma made a big, white cake. Laura helped her by beating the egg whites on a platter with a fork, until Ma said they were stiff enough. “My arm is stiffer,” Laura ruefully laughed, rubbing her aching right arm. There is something to be said about modernity and all of the conveniences of electric powered kitchen appliances and conventional ovens. Following the directions semi-based on a historical Little House on the Prairie recipe puts things in perspective. Nowadays, these are ingredients we simply pick up at our local grocery store. We never really think about “how” they got there. Making a wedding cake for Laura and Almanzo‘s happy day was a very special and very labor-intensive occasion. Milled flour, processed sugar, salt, and let’s not even begin talking about the cream of tartar. 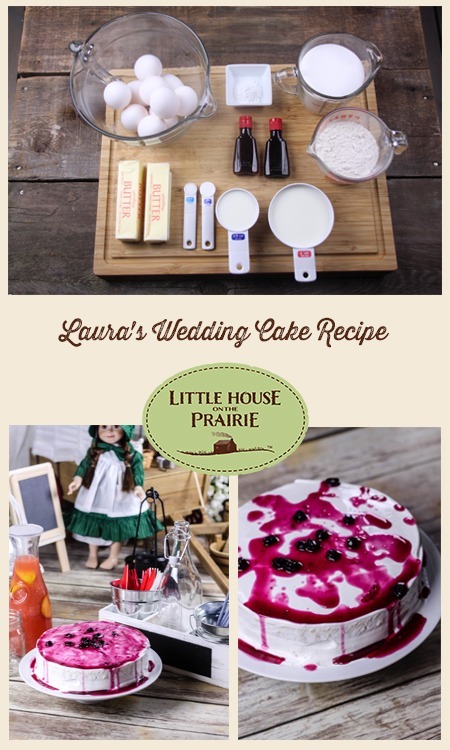 We adapted this traditional recipe for a fun Little House on the Prairie themed birthday party or Doll Tea Party. I tried my hand at beating the egg whites into stiff peak using a platter and fork and about half-way through my arm was in full on rebellion! I kept giving my gleaming (and oh so proficient) Kitchen Aid Stand Mixer the side eye because I swear it was smirking at me! Step One. Prepare everything. At least one hour before starting, set out all the ingredients to warm to room temperature. Butter your pans with the extra 1 tsp of butter. Preheat the oven to 350 degrees F.
Step Three. Add baking soda, almond and lemon extracts to the milk and beat them into the butter-sugar blend. Step Five. In a smaller bowl sift together flour and cream of tartar. Sift a second time. 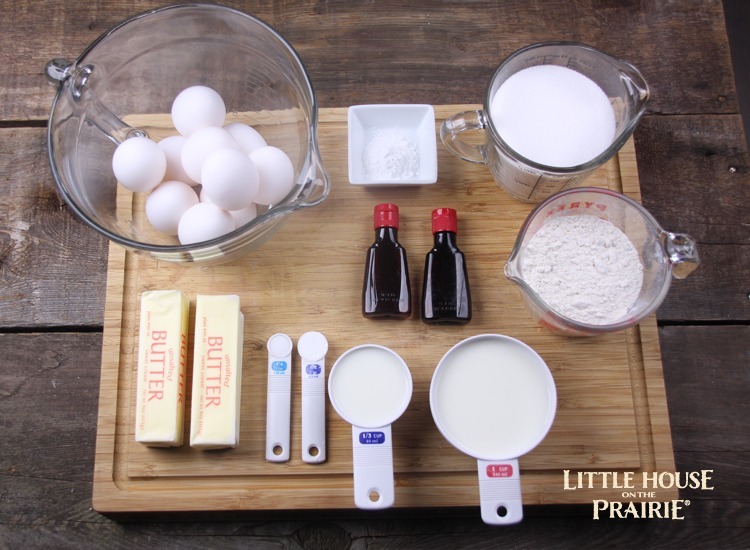 Fold flour into the sugar-butter mixture a large spoonful at a time, alternating with spoonfuls of egg whites. Continue until ingredients are blended. Step Six. Divide the batter between the buttered cake pans and bake in preheated oven for 50 minutes, or until the cakes begin to pull away from the pan edges. Step One. Beat egg whites on platter with large fork until they begin to foam. Step Three. Add sugar a tablespoon at a time, beating after each addition, until soft peaks form and the egg whites stick to platter. Add rose water toward the end. Step Four. Dust the slightly cooled cake with flour. 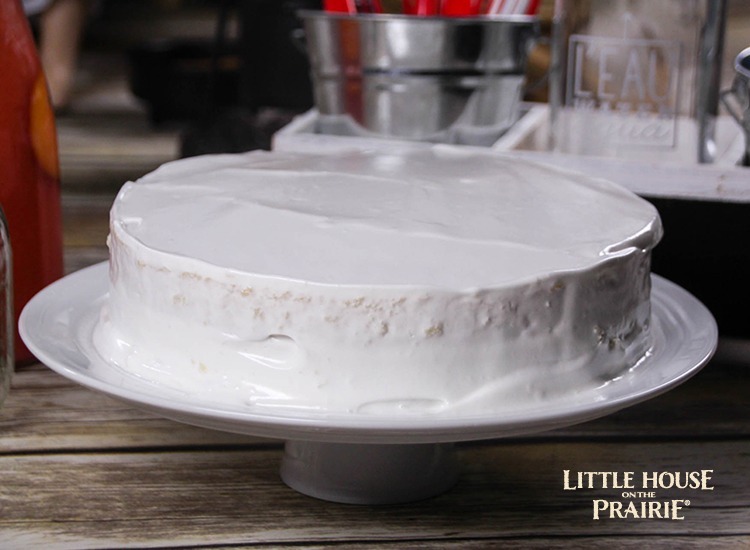 Using a table knife dipped in water, spread the frosting evenly over the top and sides of one layer. Step Four. Put the second layer on top and cover it with frosting. Any leftover frosting can be used for a second coating after the first has dried. I got through it, just because I wanted to see if I could. But I kept imagining how our forebears didn’t have the luxury of choice, you either did the hard work or you went without. It was as plain and simple as that. In the end, I am beyond thankful for the ease in which we live our modern lives, even though I rarely think about such things. 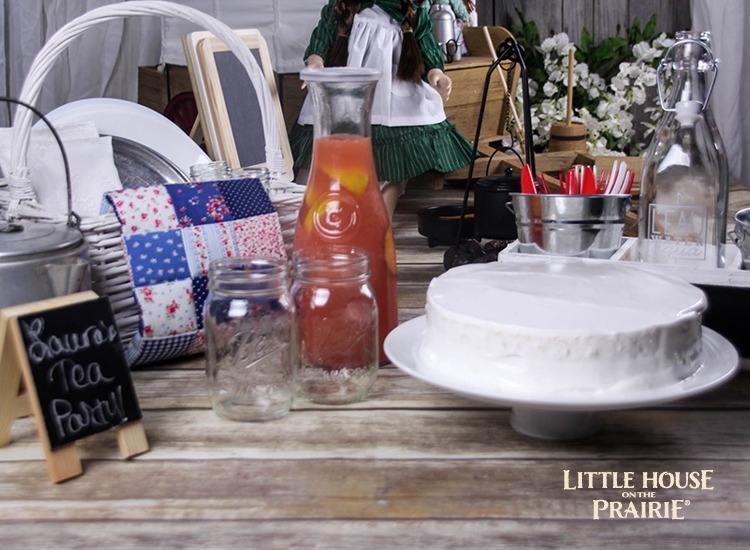 We decided it would be fun to add a fruit topping for a special occasion such as a Little House on the Prairie Doll Party. 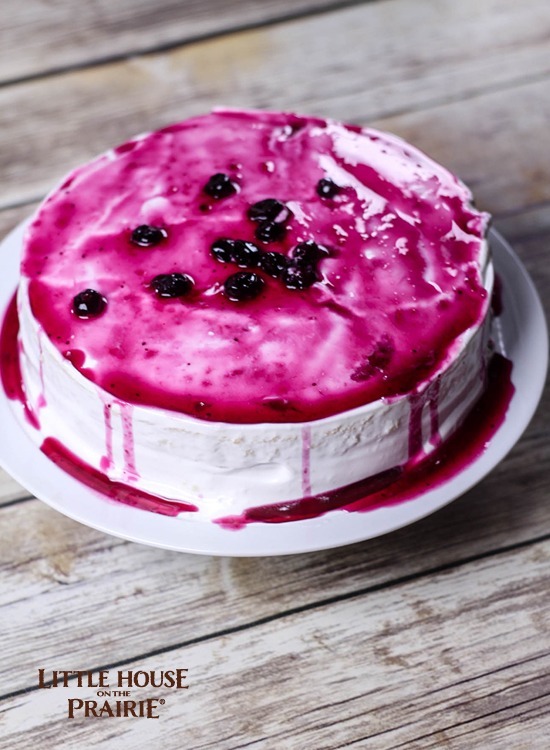 You only need two ingredients – blueberries and water! While this is not authentic to Laura’s wedding cake, it sure is colorful. In a sauce pot over medium-high heat add water and blueberries. Bring to a boil, mash blueberries to release juice. Remove from heat and cover. Let mixture steep for 15-minutes. Chill blueberry syrup in the refrigerator until cool, about 20 minutes. 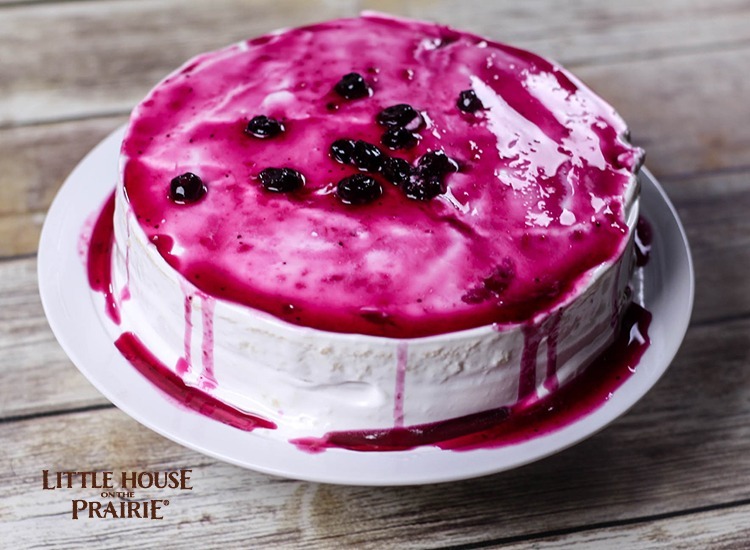 After the cake is frosted, drizzle a bit of the juice over the cake and carefully spread with a knife to cover the cake. 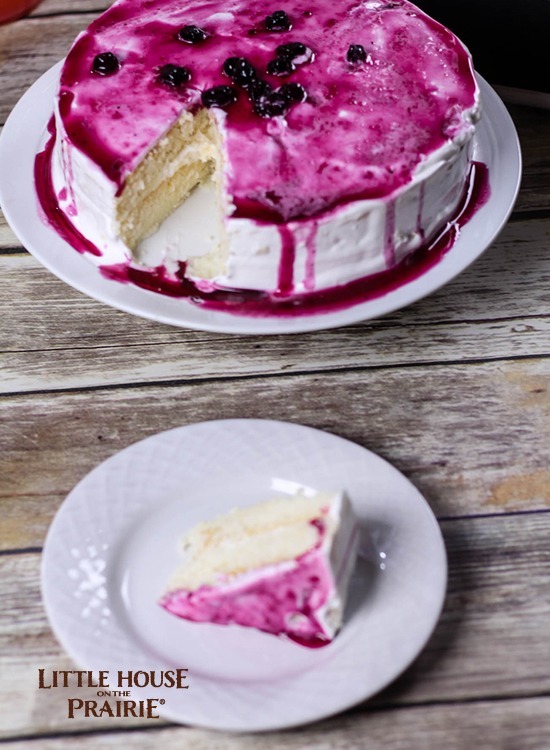 Then slice and serve to your party guests! You can see how delicious and utterly perfect it was for a party gathering. Mmmmmm…. I think going forward I will approach cooking and party preparations in a new light. And when the holidays come around, and there are many special dishes to be made, I will make them with an eye cast to the past, and say a special prayer for whoever first invented the electric mixer. 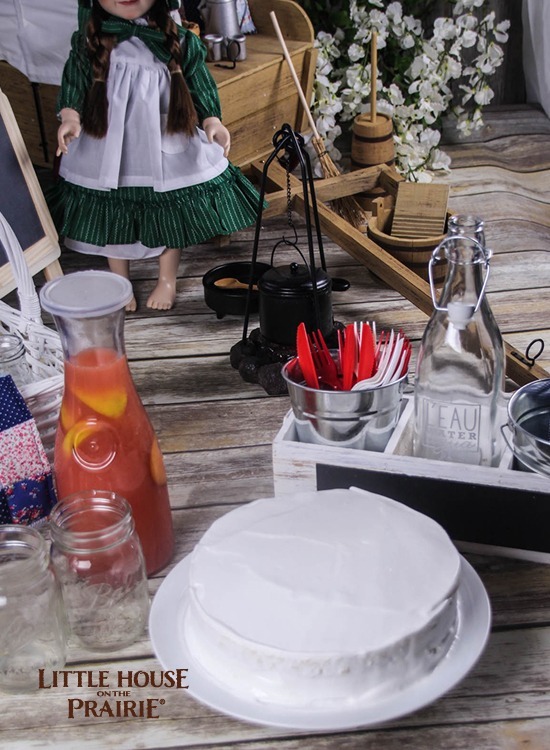 Preparing this cake for our Little House on the Prairie Doll Party gave me a new appreciation for the time and care that hospitality in this era would have required. For more Little House on the Prairie inspiration, be sure to subscribe to the newsletter. Tatanisha plays a Super-Fun Mom to three active & handsome boys. A Foodie at heart and Wife to an awesome Chef. 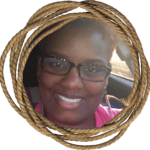 When she's not blogging about ways to save money or about autism, she loves to travel and try new food. 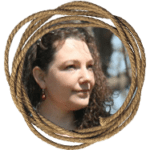 You can find her creating new tablescapes over at A Worthey Read, as well as saving you money on A Mitten Full of Savings. Love all things Little House on the Prairie! Yeah-I found myself wondering what it was-I have never heard of such a thing…. I made the cake. You do get a real appreciation for how hard it would have been to make treats back in the day. It also made me realize how spoiled we are; our cakes are so light and fluffy. This turned out a little on the dense side. For all the work and expensive ingredients (compared to a box mix), it wasn’t that good. Not something I would call wedding worthy in our modern times, but a good experience. To the person asking about rose water, it can be bought online, but I read it was optional, so I didn’t use it. I also read that it isn’t a great flavor. My cousin had tried it and said it tastes like roses smell. I made mine with vanilla and it turned out pretty good. The cake isn’t as sweet as many modern cakes, so the frosting added that sweetness to the dessert. I think it would be good with strawberry sauce as well! I made the cake-left out the lemon extract and substituted almond instead.I also cheated and used my KitchenAid stand mixer!I made two loaf cakes instead of layers too.It did come out good,though! How interesting to hear your variation – thank you so much for sharing! That sounds yummy. I meant to say vanilla instead of lemon extract-just saw my mistake now! I’ve heard Giada DiLorentis tell of never using a mixer when she went to chefs school in France. Not even for beaten egg whites. That’s how she such good muscles. Sounds good I might try making it the easy way. Now way would my arms and shoulders be able to do it by hand. I wonder if I could use gluten-free flour.